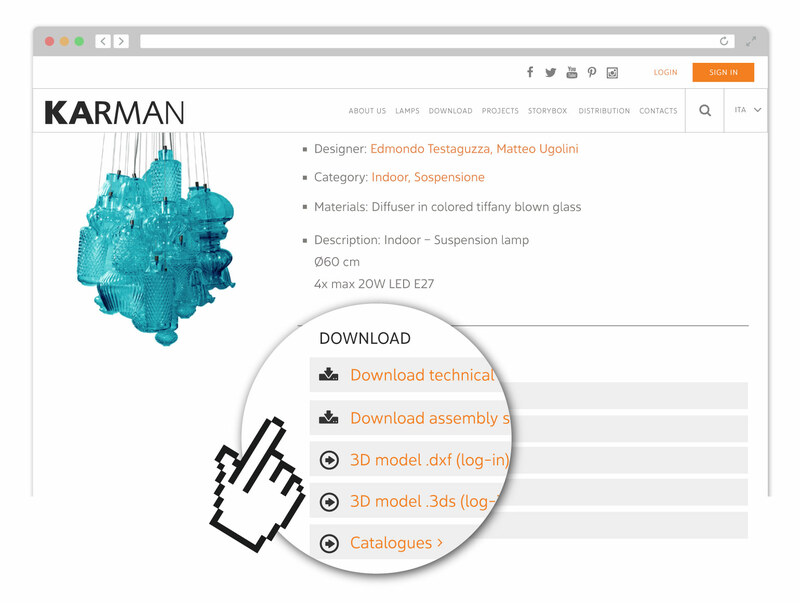 Follow these 3 simple steps to download the 3D models of Karman’s lamps. Log-in on the website by clicking on the top right button. An account is needed to perform the action. If you do not have an account yet, click on the upper right button. 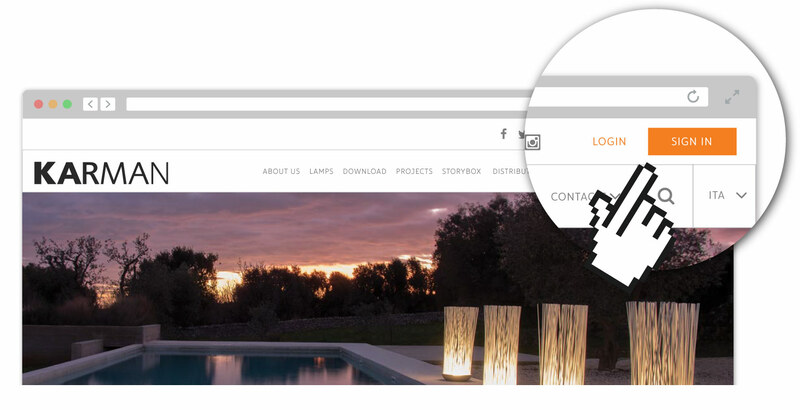 Once you are on the page of the product you were looking for, scroll down and click on the download link in the download section of the page.